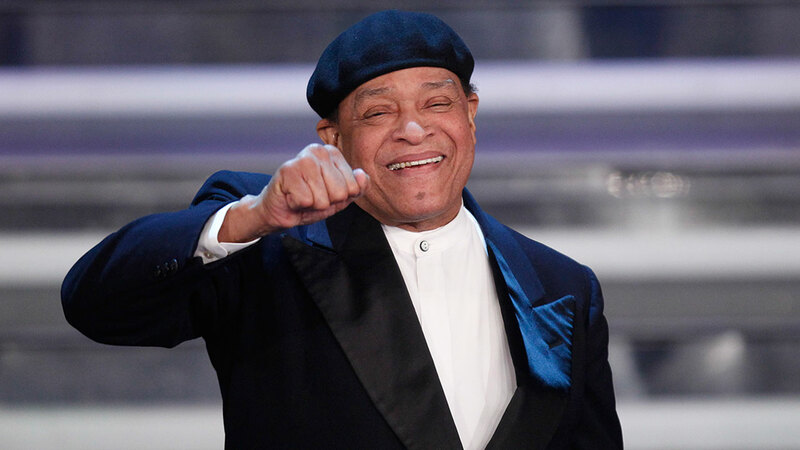 LOS ANGELES -- Grammy-winning jazz singer Al Jarreau died Sunday morning, according to a statement on his website. He was 76. News of his passing comes just days after Jarreau retired from touring. He had been hospitalized for exhaustion. The singer was surrounded by family and friends when he died at 5:30 a.m. in Los Angeles, his manager, Joe Gordon, told Ebony Magazine. The statement on Jarreau's website read in part, "His 2nd priority in life was music. There was no 3rd. His 1st priority, far ahead of the other, was healing or comforting anyone in need. Whether it was emotional pain, or physical discomfort, or any other cause of suffering, he needed to put our minds at ease and our hearts at rest. He needed to see a warm, affirming smile where there had not been one before. Song was just his tool for making that happen." Jarreau won seven Grammys over a 50-year career. His biggest single was 1981's "We're in This Love Together." Jarreau was a vocalist on the all-star 1985 track, "We Are the World," and sang the theme to TV's "Moonlighting." A small, private service was being planned for the singer.